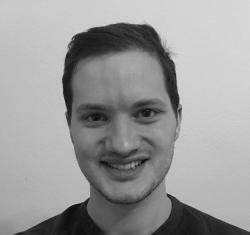 Matthias Schmitt is a Master in Management, Digital Business concentration, class of 2019 student. 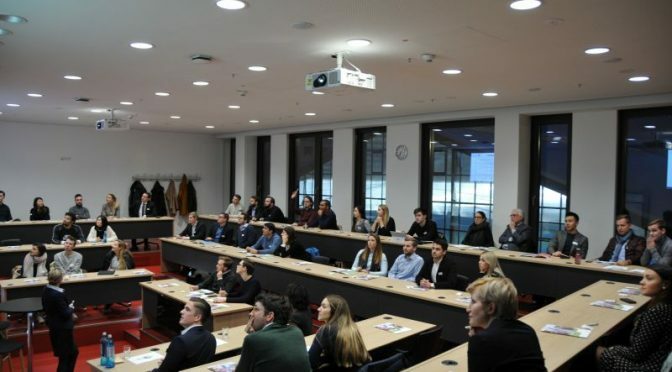 Master Info Evenings are events that Frankfurt School offers regularly throughout the year for interested prospects who either already have applied, want to experience what it is like to be a Master’s student at FS or who still are in the application process. When I visited a Master Info Evening last summer, I was in the last stages of writing my Bachelor thesis while doing an internship here in Frankfurt. For me, it was clear that I want to follow my previous studies directly with a master’s program. At Frankfurt School, I was particularly interested in the Master in Management program but not completely sure whether this is really the right choice because of a very finance-focused Bachelor’s degree that I was just finishing. Moreover, I was willing to apply for the one of the so-called FS Scholarships and the newly initiated Klaus-Peter Müller Scholarship to facilitate the financing of my possibly upcoming studies. Due to a very packed schedule those days, I therefore gladly took the opportunity to get first-hand information about my outstanding questions at a Master Info Evening at the FS campus. Since Master Info Evenings regularly take place throughout the year, a suitable date was quickly found. Registration on the FS website was all I had to do, and it was done in just a few seconds. The atmosphere was quite relaxed and informal. After the participating students and FS staff had introduced themselves and the programs, a moderated panel discussion followed that already gave some very interesting student insights into life at FS. After the panel discussion, participants had the chance to clarify remaining questions on a one-to-one basis with the current FS students and staff during a get-together with snacks and drinks. Besides talking with current students about their previous experience with the program, I also got some insights into other Master courses and the possible career perspectives afterwards. Furthermore, it was quite helpful for me to see how other people finance their studies at FS through scholarships, working student positions or doing the 3-day cooperation model that some firms offer in combination with FS. As I am willing to do a semester abroad during my master’s, I was also interested to learn more about partner universities of FS and how a stay abroad is embedded into the respective programs. How did the event finally influence my decision? After the Master Info Evening, basically, any open questions from my side were answered, and I felt confident to submit my application. In retrospect, especially the direct contact with people involved at FS and the receiving of first-hand information about studying at FS were a major benefit of visiting a Master Info Evening. For Bachelor graduates or students who are generally interested in pursuing a Master’s program at FS, I can clearly recommend taking this as a possibility to visit the FS beforehand and particularly to experience the atmosphere at our new campus.